After the excitement following the Mega Match This final this year, the team at Maver (UK) are now preparing to make next year’s event even bigger with high hopes of presenting the 2012 winner with a cheque for a life changing £100,000! 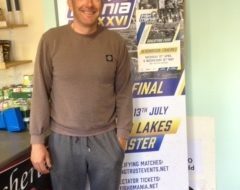 On that famous Saturday in August, angling history was made at Maver Larford Lakes with the first ever winner of the competition, Andy Power, receiving a cheque for £50,000 – the richest prize in the history of the sport. 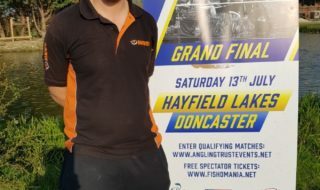 The Maver team believe that with the support of the Daily Mirror, this year’s event helped raise the profile of angling to a level never experienced by anyone participating in the sport and illustrated what competitive fishing has to offer. 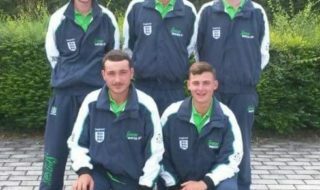 Next year’s competition will be run using a similar format as the 2011 campaign with 24 qualifier events scheduled to take place up and down the country between 7th April and 12th August. These qualifying events will take place at a number of high profile venues – some of which will remain unchanged from 2011, some of which will be brand new. In addition, it has been planned that the event will run over a weekend extravaganza at Larford Lakes commencing with the Final on 1st September (subject to change) and a team-orientated event on Sunday 2nd September. Details on how to qualify for the team event will be released later in the year. Tickets are planned to go on sale as from 1st January 2012 via the Official ‘Match this’ website www.mavermatchthis.co.uk so remember to put the date in your diary.